First formed in 1988, arc have developed, through improvisation, a collective language that draws on the European textures of the violin family (with a little bit of voice added). 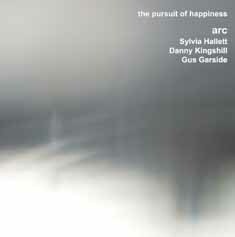 This is their first album to use live electronics, at times effectively increasing the group to a quintet. They previously released two albums of acoustic improvisations in 1992/3 on Uneasy Listening and Slam. 52 minutes. Another very worthy addition to the series of string groups that have been featured on Emanem. These three musicians have been performing in various combinations with others on the London improvising scene for several years, including the London Improvisers Orchestra. 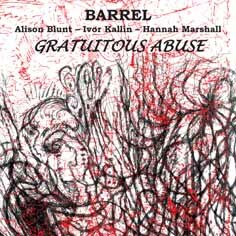 About six years ago Blunt and Kallin were often playing gigs together either as a duo or with a third string player. They were impressive enough to be invited to the 2007 Freedom of the City festival, where they chose to add Marshall, with whom Blunt had previously performed duos. That first performance of this trio was so musically successful that they decided to continue as such, and chose to call themselves Barrel as they used a lot of scraping. Since then they have often played in various locations in and around London, and this album is their choice of the resulting recordings. 79 minutes. 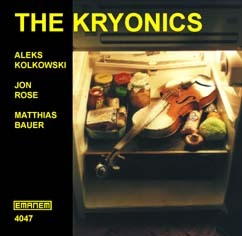 An improvising string trio featuring ALEKS KOLKOWSKI and JON ROSE playing violins and various horned fiddles, and MATTHAIS BAUER playing double bass. 57 minutes. 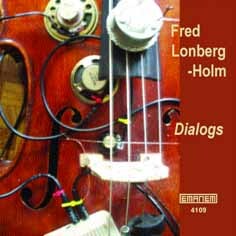 For his second solo CD, the Chicago-based musician adds small speakers, test amps, piezos and motors to his cello to make some remarkable improvised music. As Michael Zerang says in his notes: 'This is a solo recording, yet I hear an entire ensemble.' 55 minutes. Marcio Mattos has been an important member of the free improvisation and free jazz scenes since moving to London in the early 1970s. This, however, is his first solo album. 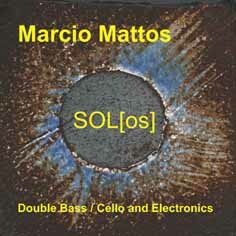 There are six short solos on cello, three of which also use electronics, and three brief double bass solos, followed by an extended concert performance on bass with electronic enhancement. An overdue chance to hear this consistently fine musician in the foreground. 59 minutes. 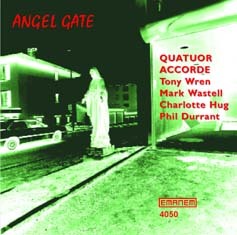 Superb acoustic string quartet improvisations recorded in the studio and in concert by TONY WREN (double bass), PHIL DURRANT (violin), CHARLOTTE HUG (viola) & MARK WASTELL (cello). Also contains three short bass solos. 78 minutes. 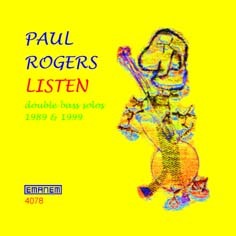 The whole of Rogers' sensational double bass solo set at the 1999 Le Mans festival, plus an equally fine 19-minute performance recorded 10 years earlier in a London pub. 67 minutes - previously unissued. PHILIPP WACHSMANN (violin), CHARLOTTE HUG (viola), MARCIO MATTOS (cello), JOHN EDWARDS (double bass). 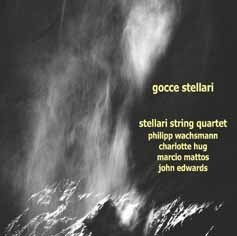 If there were stars in the world of free improvisation, then the members of this quartet would surely be among them - four very distinctive and fluent musicians, who also have the talent to work together to produce a fifth distinctive and fluent entity, namely an improvising string quartet. The whole of their performance at the 2007 UNCOOL Festival in Switzerland is included, as well as some studio recordings made near London the previous year. These unamplified performances prove that here is still plenty of life in the violin family. 69 minutes. 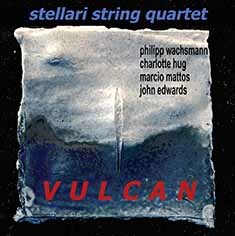 The Stellari String Quartet came together more than ten years ago, and it is one of those rare groups whose every performance seems to be both brilliant and memorable. They released one CD just after their formation, so the issue of more recent recordings is long overdue. This second release by the quartet, recorded in London nearly a decade after the first, finds them playing as superbly as previously. 56 minutes.